Все видео пользователя: STUNNER [BoomBazinga]. 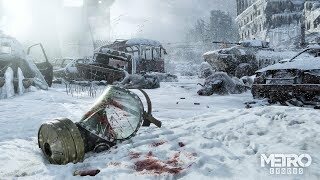 Metro Exodus is an upcoming first-person shooter video game developed by 4A Games and published by Deep Silver. It is the third installment in the Metro video game series based on Dmitry Glukhovsky's novels. It is set to follow the events of Metro 2033 and Metro: Last Light.